I was writing recommendations for an airline on how to become an ecommerce leader and increase their ancillary revenue. However, the project manager thought the word “retailing” sounded much better. “Airlines need to be digital retailers; that’s what’s everybody’s saying,” he added. 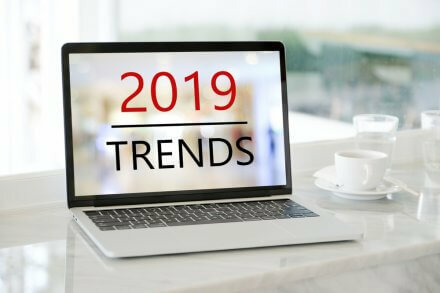 Airline retailing, digital retailing, even digital merchandizing – you probably keep hearing these awkward, dull phrases, right? Grow your audience (online visitors), improve your conversion rate, and increase your average booking value. Increasing your booking value in the airline world means growing your ancillary revenue, and ancillary revenue is a big deal for airlines. Estimated at $65 billion in 2018 by the IdeaWorks company, airline ancillary revenue has grown by 128% since 2014. In addition, how good you are at building your ancillary revenue often means the difference between your airline being profitable or ending up with a loss. So, how can your airline become really good at ancillary revenue? How can you become the “retailer” everybody is telling you to be? To help you answer this question, I asked an expert for help. Yep, I talked to an actual retail expert. I met with Richard Hammond, a retail expert, at an event where he was talking about the concept of airline retailing. 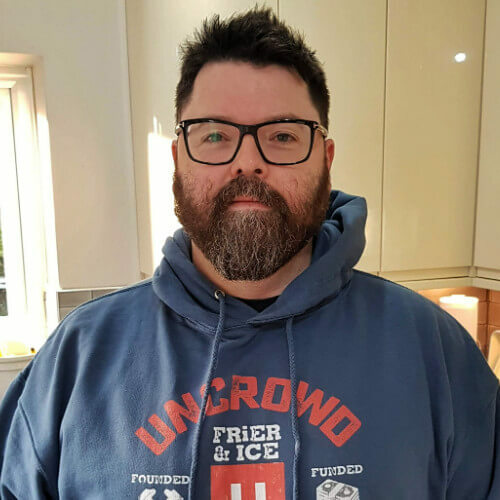 He is the author of the book Smart Retail and Founder at www.uncrowd.uk His main drive is to help you understand why your customers make the choices they make. If airlines want to only be the provider of transport, then by all means stick to the word ‘ancillaries.’ If airlines believe that all they’re selling is a ticket from A to B, then ancillaries makes sense. But actually, if you are only selling the ticket to go from A to B, that really narrows your ability to influence whether a customer wants to choose you to solve their particular travel challenge or not. What our customers are considering, it’s not ‘how do I get from A to B?’ The customer is considering how to get the best experience in a given situation. If I’m flying for business, how do I get to a great hotel? How do I get my transfers so I’m not late for my meeting? Will I get my boss to sign off on the cost? How can I work when I’m on the plane? Now, if you think about those things as ancillary, something that sits outside of the A to B part of it, then you have no chance of influence and influencing [the customer’s] decision to engage in those things with you. So if not ancillaries, then what? I wouldn’t call it ancillaries at all. I would call the whole thing our products, and one of our products is a seat in an airplane. But they all have equal value to each other. They all have equal profile and precedence. Yes, some of them are more difficult for us to fulfill, but they are all things that are part of the customer experience and things that make the total customer experience of what it is that you’re selling. Looking at the whole customer experience, the whole journey is the way to go. However, to make the customer experience great, you need to understand your customers. To do that, there is one fact you need to face before you even start. Customers now have to do things; first, they have incredible visibility of choice. Customers can see the range of options, not just the ones that are immediately in front of them, but across the entire planet. In the travel industry, a traveler can see two dozen ways of solving whatever problem they are trying to solve with travel. So we have massive visibility of choice, but at the same time we also have incredibly easy and safe access to those choices. In the UK, I can safely book a ticket with a Hungarian airline from my seat right now, or with an airline in China or an airline in the U.S. Not many years ago that simply wasn’t possible. I could only book with those airlines that invested in putting resources in the UK. “The customer is now completely in charge. We’re seeing those vendors that embrace that, they’re seeing success. Those vendors that aren’t understanding [that] the customer is in charge now, those vendors are struggling. For marketers like you and me, this can be scary, right? If the customer is in charge and has so many choices, is there a way we can understand the customers and the choices they are going to make? Well, this is exactly what Richard was really trying to figure out. I was incredibly desperate to see if we could find a metric that could be used to describe likely customer behaviors. If I know the customers are now in charge and if I know that customers have unlimited choice, do I have a tool that allows me to predict that a customer in this situation, with this set of emotional needs, is going to buy from me or from them or from somebody else? I was a bit confused. Was Richard trying to invent a new metric? What about NPS and customer satisfaction scores? We have things like Net Promoter Score (NPS), customer efforts score, customer satisfaction, persona segmentation, attitudinal mapping, and to a certain extent customer journey mapping, all of which tell part of the story. They might tell us whether or not somebody’s happy with us as a business. They won’t tell us whether that happiness turns into X or Y. We might be able to identify where the pain points are in our customer journeys and where our friction points are. That’s very important, but we don’t know the value of those friction points until we know the value of the reward the customers gained from shopping with us in a particular way. So, what exactly was Richard trying to understand with the new metric? What I was looking for was a metric that could describe this situation that a retailer or an airline could use to accurately understand, given this set of circumstances, is the customer going this way or that way? Are they going to open my app or somebody else’s app? Are they going to look at my site first or somebody else’s site first? What Richard explained next was very interesting to me, because we use a very similar concept when we do conversion optimization. We as customers have two things that are floating around in our brains when we’re looking at a given way of solving a particular retail problem. On the one side, how much effort do I need to put in? And on the other side, what do I get for putting that effort in? Now, we call the effort friction. What frictions do I have to push through to buy my ticket and my package from X versus what do I get back from doing so? What are the rewards? And rewards aren’t just reward points. Is this an airline that matches my social profile? Does this brand deliver on the trust that I put into it? Do they help me to have better experiences when I travel? There’s about thirty of those variables on each side. The sum of friction versus reward – basically it’s a metric that you can use as a vendor to predict whether a customer’s going to buy from you or buy from your rival in a given customer mission with a given set of needs stats. It’s incredibly, insanely powerful, and retailers and vendors and airlines can use it to truly understand where to make investments in the customer experience, where the gold is. This Friction – Reward concept really makes a lot of sense to me. When you optimize your airline website, which is the key airline retailing platform, it’s always about understanding your customer friction points. You need to address the friction points through the booking funnel. In addition, you use the rewards to build on your value proposition and build trust. Richard and his team are doing similar with their tool called the Friction/Reward Indexing (FRi). As Richard talked about the Friction versus Reward concept, I remembered a case study I was writing about recently, which he’d mentioned in his book as well. I’m talking about how Ryanair changed their website from being the worst travel website in the UK to becoming one of the best. 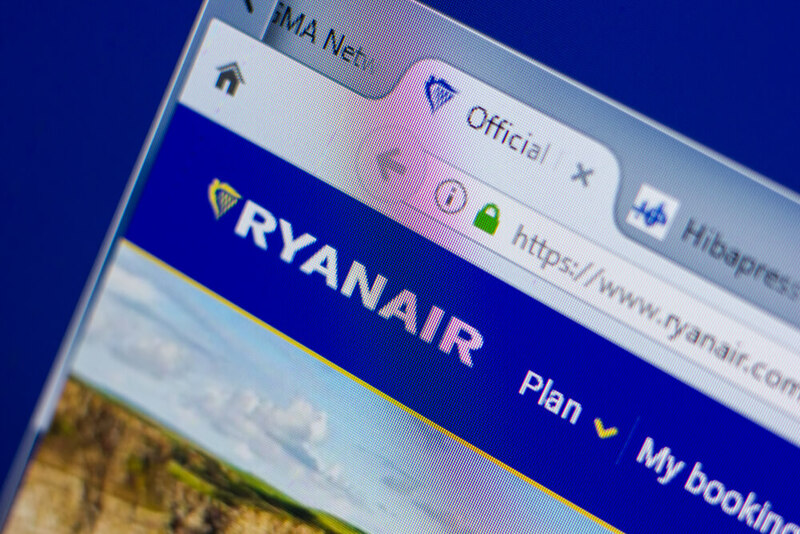 Ryanair truly embraced the change to become a leader in airline retailing. And yes, of course the change is connected with the Friction – Reward concept. However, the change wasn’t only about the website. Do you remember how Richard talked about the word “ancillary”? The way that Ryanair did that was really interesting because they didn’t just reduce friction. They actually changed the way that people perceived what you in the industry of course call ancillaries – the way that people perceive the insurance, the choosing of the seat, the hold luggage, car hire and so on. In the past with the old 15 clicks model, at every stage you were stopped. Coming upon the insurance [offer], how do I get past? Oh, click, it’s out of the way. So all these clicks until you finally got the thing you wanted (a ticket) meant that you felt very frustrated with the process. You might be protesting that this old method actually worked. All those clicks and obstacles meant more ancillary revenue for Ryanair, right? When Ryanair had budget airlines as a sector to itself in Europe, it could do that. It could be the airline that put lots of friction in a customer’s way because the customer wanted the reward, which in this case was a very low airfare ticket and the ability to travel to places they haven’t been able to travel to before. Customers were prepared to push through all that friction to get to that reward. As soon as that sector becomes competitive, it is now any other alternative vendor who lowers the friction level but has the same kind of reward at the end of it: a good cheap ticket to a place you want to go. Then customers will go to the lower friction option. Ryanair recognized that and made a big change. One of the measures on both sides of the Friction – Reward equation is trust. A customer needs to trust that the vendor they’re choosing will deliver the thing they want. Equally, on the reward side, a vendor that delivers against trust, that meets expectations, that gives people what they thought they were going to get – that is a powerful part, the reward side attraction. The fact that Ryanair [was] canceling lots of flights lowers that trust level on the friction side dramatically. Now you’ve got customers saying, well, Ryanair canceled 20,000 flights last year; they’ve canceled 17,000 flights so far this year. How low is my trust? Frankly, cheaper ticket price is my biggest reward on that site; how cheap does that ticket need to be now for these two things to balance? 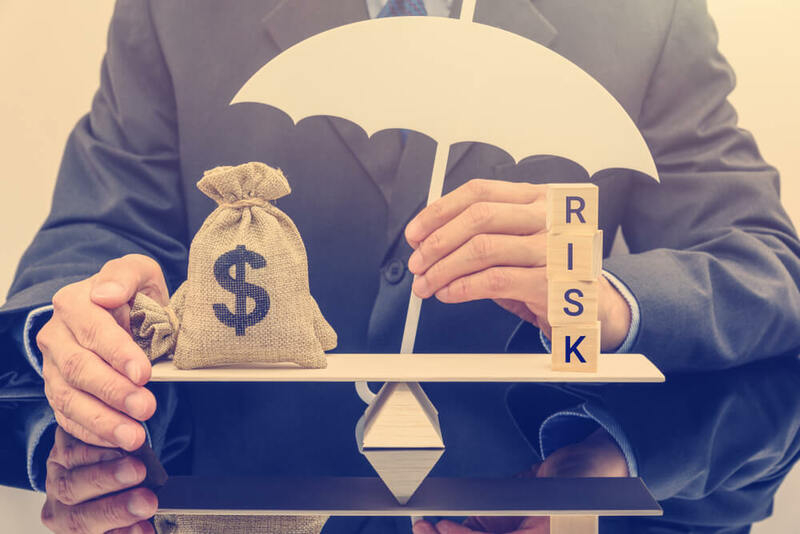 There’s a direct correlation between falling trust and having to give a better price to those customers to persuade them that this level of trust is worth risking. What Richard is saying here is that you really need to understand the correlation between friction and reward to understand your customers. Understanding what a customer has to go through (the friction) and what a customer gets, (the reward) are intrinsically connected. Our approach to the friction versus reward metric is the only way that retailers can make that connection. It’s an extremely powerful way of looking at a customer experience. In the end, I can only add one final thought to Richard’s point. The more you understand your customers, the better you will be at airline retailing. Want to Learn More About Airline Retailing? Watch the full interview with Richard on the Diggintravel Youtube channel. Among other things, Richard provided a great example from another industry on how to adopt a true retailing mindset. 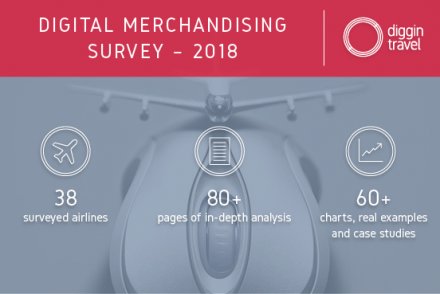 DOWNLOAD Airline Digital Retailing Research. 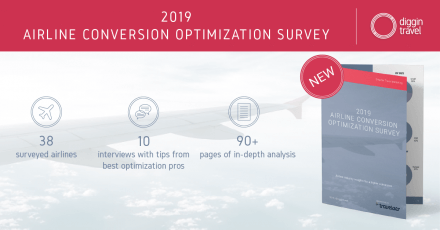 It’s an 85-page whitepaper where you’ll find benchmarks from 38 airlines, more than 60 charts and real-life airline retailing case studies.